The Jackaroo have given humanity 15 worlds and the means to reach them. They’re a chance to start over, but they’re also littered with ruins and artefacts left by the Jackaroo’s previous clients. Chloe Millar works in London, mapping changes caused by imported scraps of alien technology. When she stumbles across a pair of orphaned kids possessed by an ancient ghost. And on one of the Jackaroo’s gift-worlds, the murder of a man who has just arrived from Earth leads policeman Vic Gayle to a war between rival gangs over possession of a remote excavation site. After moving half way across the world with my wife and son, I don’t get as many books posted to me as I used to. This makes me sad but, on the plus side, extremely happy when I do receive stuff! I’ve been sent a couple of books I’m definitely interested to read but, with my son’s crazy non-napping ways, my reading time has been drastically reduced. Still, more books for the ‘to-be-read’ pile is never a bad thing (though I suspect my wife would strongly disagree..). Fish Tails by Sheri S. Tepper looks like one helluva book.. 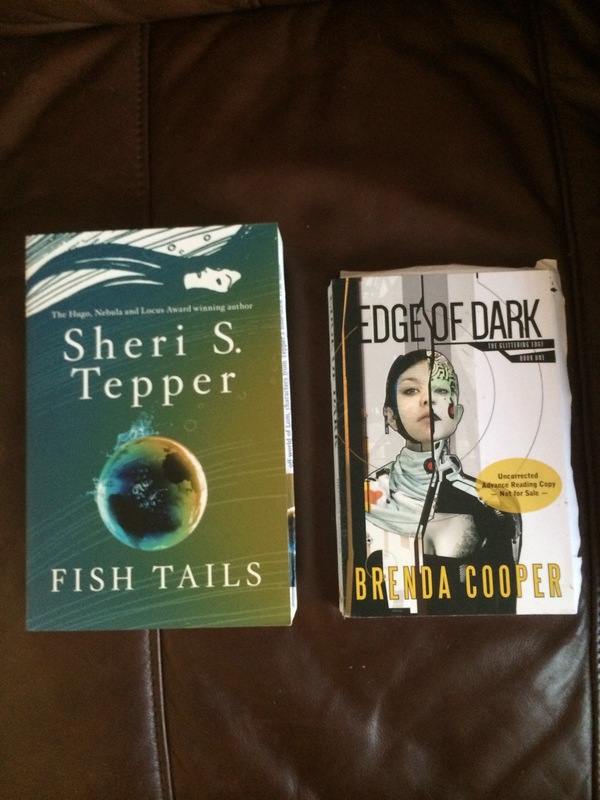 In her 35th stand-alone novel, science fiction master Sheri S. Tepper boldly weaves together the storylines of eleven of her previous works – from KING’S BLOOD FOUR (1983) to THE WATERS RISING (2010). In FISH TAILS, two of Tepper’s beloved characters – Abasio and Xulai (A PLAGUE OF ANGELS and THE WATERS RISING) – and their children travel from village to village scattered across the sparsely populated land of Tingawa. They are searching for others who might be interested in adopting their sea-dwelling lifestyle. Looking cover but also a crazy premise. Cooper is an author I keep meaning to get to reading; maybe this is the time to get it done. 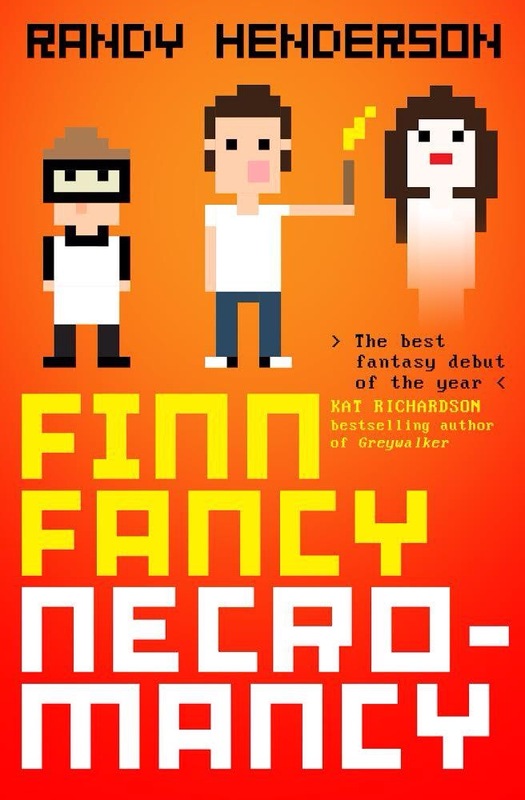 I was also emailed an e-copy of Finn Fancy Necromancy by Randy Henderson, billed by Titan Books as being in the same vain as Ready Player One by Ernie Cline. It’s 1986 and when a fifteen year old Finn is found guilty of a crime he didn’t commit he’s banished to the Other Realm for twenty five years. But now he’s back and free to walk the mortal world again. Things have changed though and he’s disappointed to have to come to terms with the fact that he’s middle aged and DeLorians can’t fly (we’ve all had to deal with that disappointment!). If that’s not bad enough someone’s framing him for necromancy…again. He’s got three days to clear his name, win the girl and learn how to cope with his car crash of a family. Easy, right? I’m currently reading a secondhand copy of Sundiver by David Brin but I think Finn Fancy Necromancy may well be my next port of call….